WH has moved the Early Bronco fuel tank into the modern era. The M1A1 is made from 14 gauge stainless steel. Leave the rust worries behind. 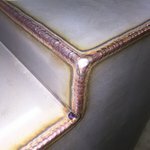 You won't see the typical waves and distortion found on most after market Bronco tanks on the M1A1 Our welders are true artists. 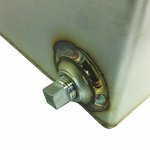 The craftsmanship is second to none on these fully tig welded tanks. A convenient drain plug is located on the side of the tank. The M1A1 is secured under your Bronco with a pair of custom made heavy duty candy cane bolts and a stainless steel strap. 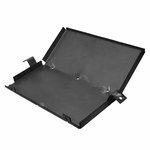 You can opt for the 3/16" thick armor skid plate With its side and bottom protection this form fitting skid plate can take a beating while creating an impenetrable shied for your tank against menacing trail boulders. 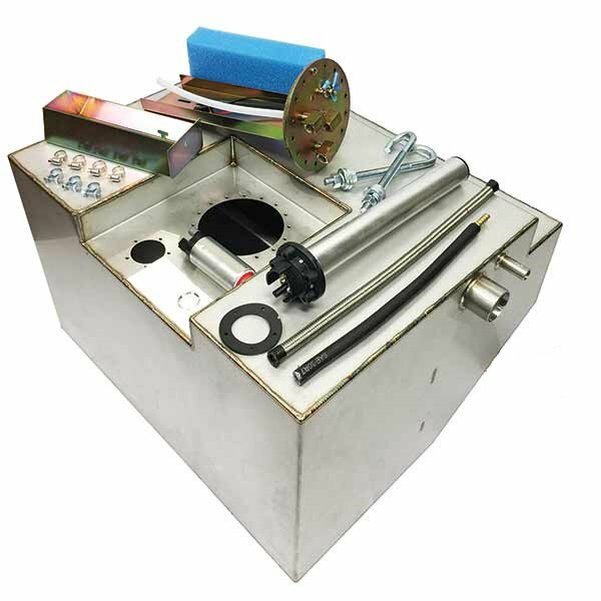 The M1A1 fuel pick up module can be used with or without an in-tank fuel pump. We've made it easy to swap out later if your needs change. The module provides ports for fuel supply, fuel return and venting. Fuel capacity is 22-23 gallons so you won't have to worry on those longer excursions. The new Isspro sending unit is a custom made just for the M1A1. The M1A1 design optimizes ground clearance which also gives a much more stealthy look from behind than previous versions.